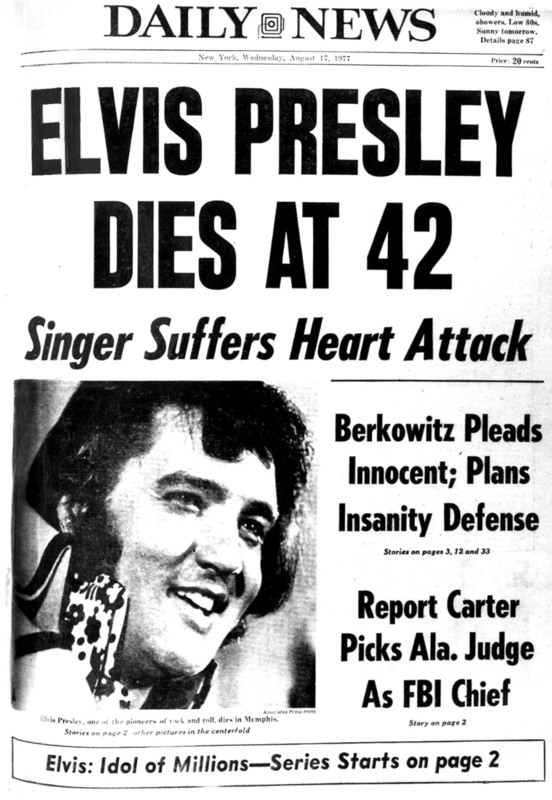 Music lovers around the world were shocked 40 years ago on Aug. 16, 1977, when Elvis Presley died suddenly from heart failure at age 42. 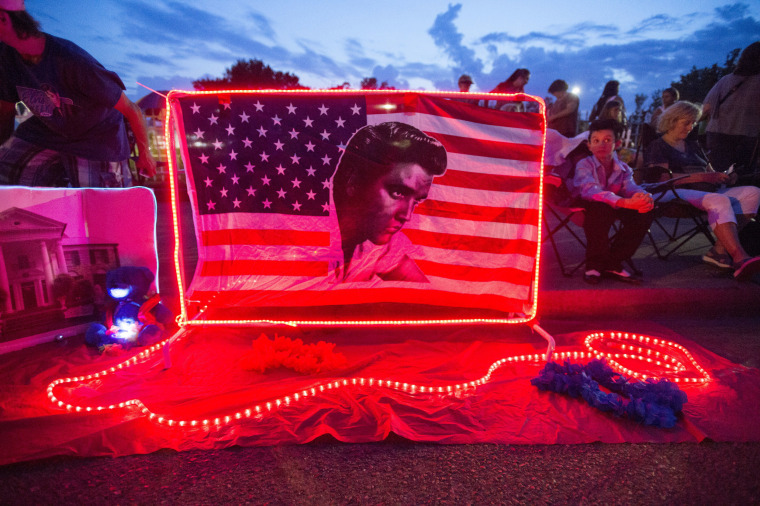 Fans gather for a candlelight vigil in front of Graceland, Elvis Presley's Memphis home, on Aug. 15, 2017, the night before the 40th anniversary of his death. 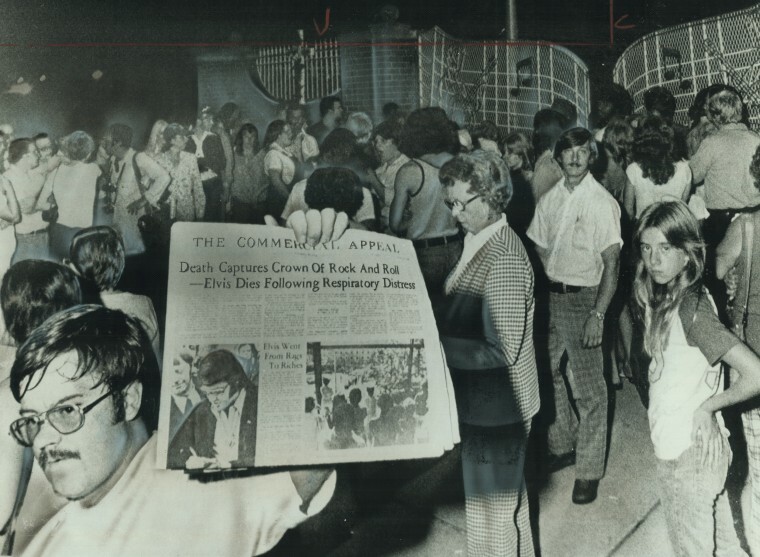 Here's a look back at the outpouring of grief 40 years ago. 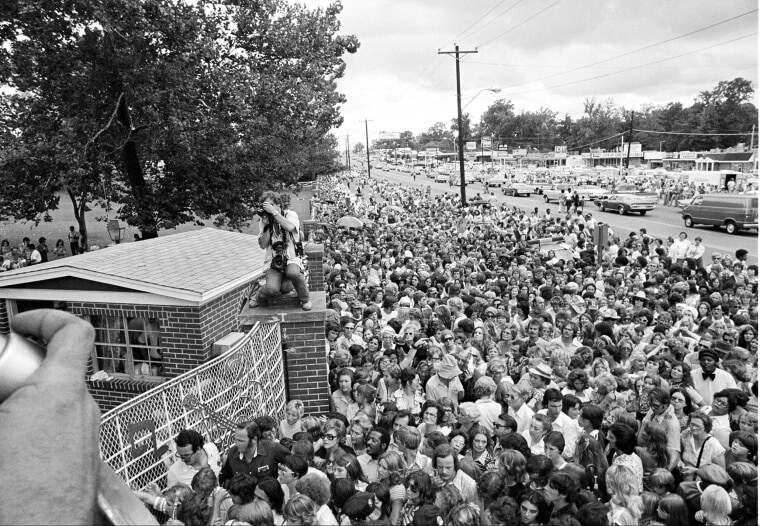 A man outside the gates of Graceland holds up a newspaper announcing Elvis' death. Mourners stayed all night outside the singer's manion. Elvis had been battling health problems, including weight gain and a dependency on prescription drugs. Hundreds of people wait outside Graceland mansion before the gates are opened for the public to view the body on Aug. 17. 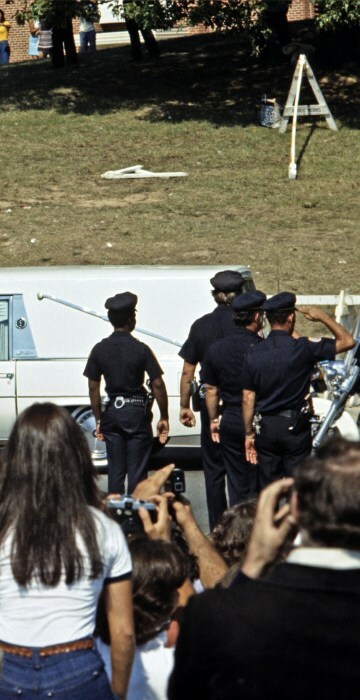 According to Variety, Elvis lay in state for three and a half hours on Aug. 17 at Graceland and a crowd estimated at 15,000 stood in 90-degree heat waiting to view the body. The front page of the New York Daily News announces his death. 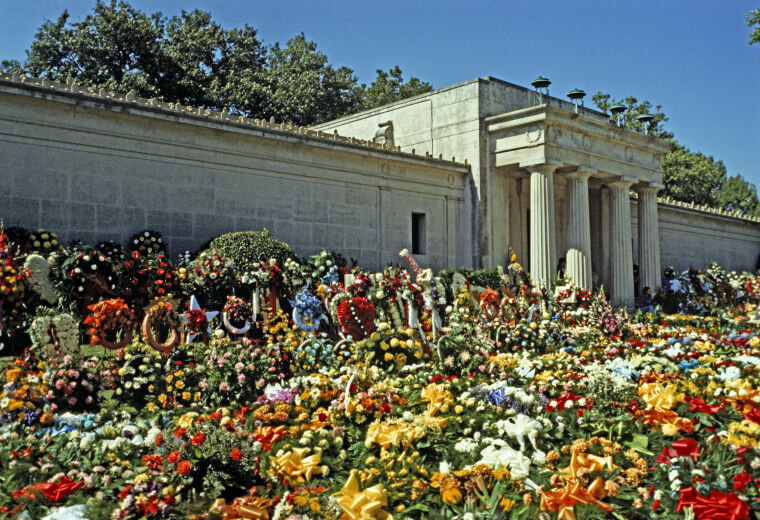 Flowers are piled up outside the mausoleum at the Forest Hills Cemetery in Memphis ahead of his burial. 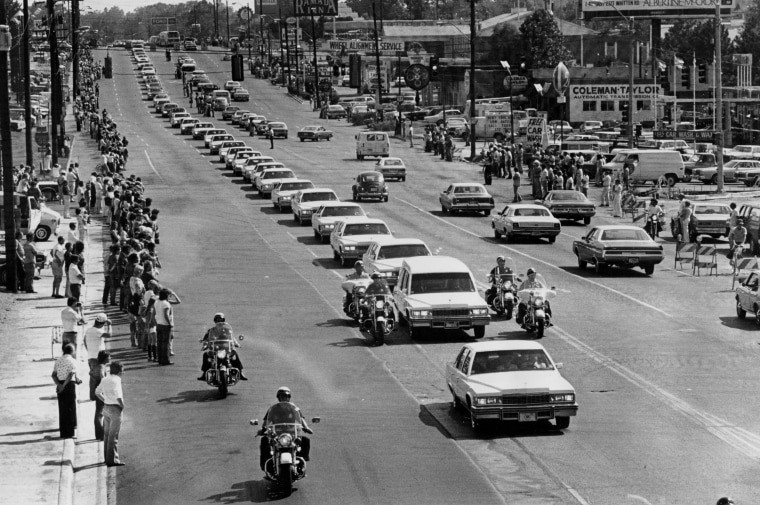 The funeral cortege leaves Graceland on Aug. 18. 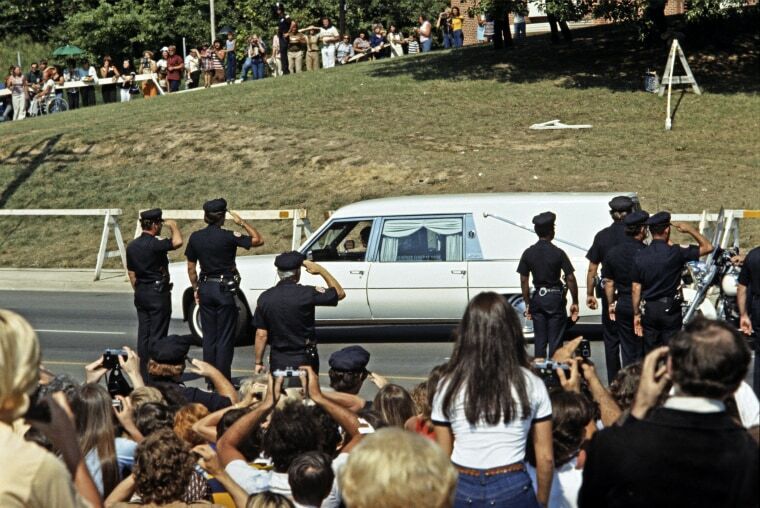 The hearse carrying Elvis drives along Elvis Presley Boulevard on the way to Forest Hills Cemetery. 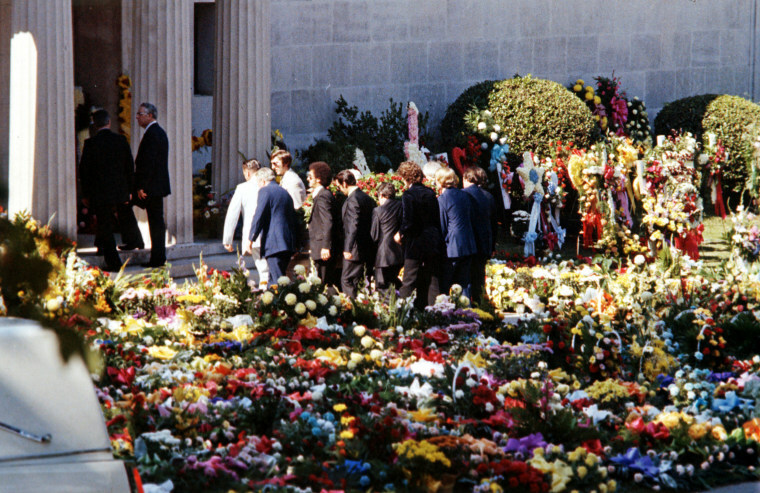 Pallbearers carry the flower-covered coffin into the mausoleum. 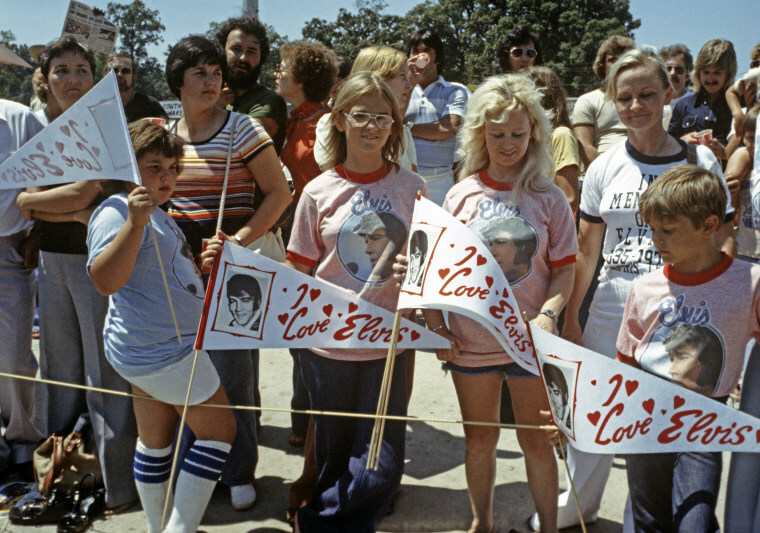 Young fans show their love for Elvis at the funeral. 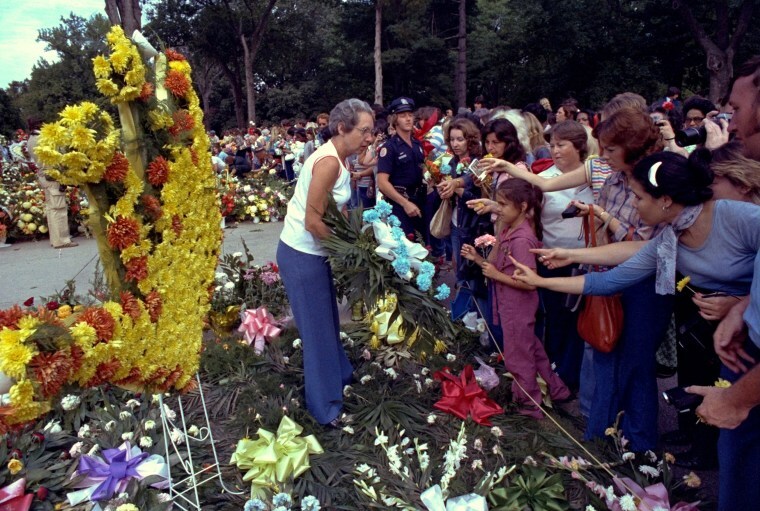 Fans reach out to touch floral arrangements at Forest Hills Cemetery. 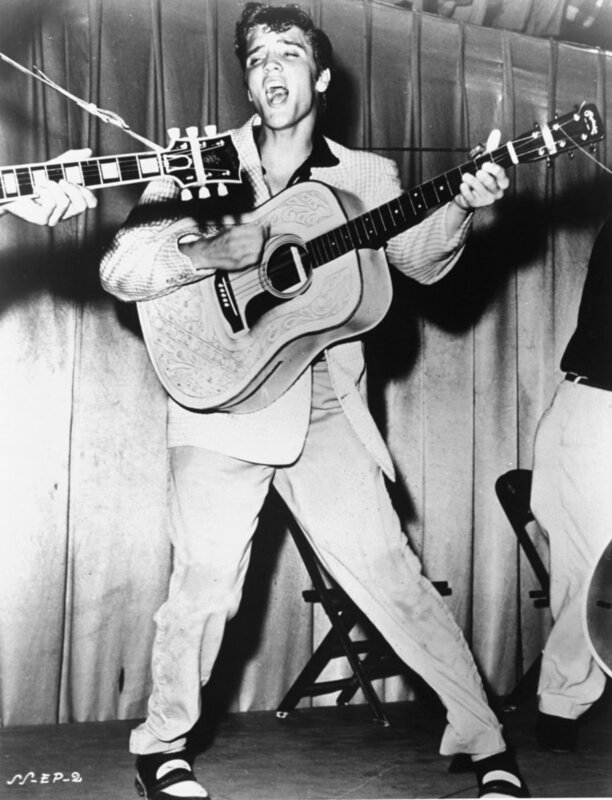 Elvis Presley performs in 1956 in a photo that was used for his first RCA Victor album cover.